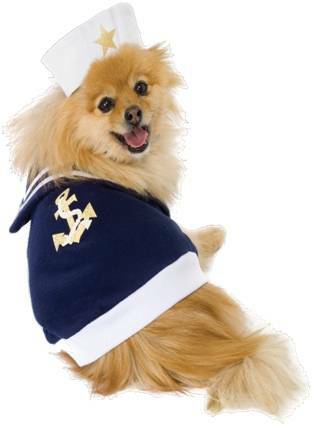 CAT OR DOG COSTUME, INCLUDES BLUE/WHITE SWEATSHIRT WITH VELCRO CLOSURE AND MATCHING HAT. 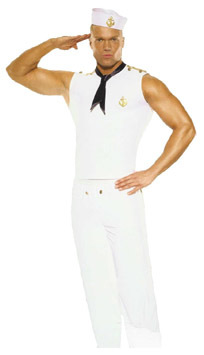 4 PIECE CAPTIVATING CAPTAIN COSTUME INCLUDES DRESS WITH DOUBLE BREASTED BUTTON FRONT, BELT WITH ANCHOR BUCKLE, TIE AND HAT. Includes shirt, pants and scarf. Sail the seven seas in this outfit that includes the shirt, pants, belt and hat. COSTUME INCLUDES HAT WITH PATCH AND COLLARED DRESS WITH PLEATED SKIRT. STOCKINGS SOLD SEPARATELY. 5 PIECE SAILOR COSTUME INCLUDES UNDERWIRE BRA TOP WITH RED BOW TRIM AND ANCHOR DETAILS, GARTERED PLEATED SKIRT WITH ROPE BELT AND ANCHOR, STRIPED ARM WARMERS, STOCKINGS AND SAILOR HAT. Includes top, short, belt and hat. 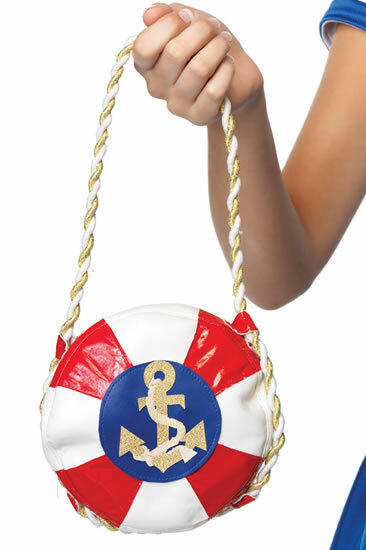 ACCESSORIZE SAILOR GIRL COSTUMES WITH THIS PERFECT SIZE RED/WHITE/GOLD PADDED VINYL PURSE WITH ROPE TRIM HANDLE AND ANCHOR DECORATION.